Nebula Stone is comprised of four minerals - quartz, anorthoclase, riebeckite, and aegirine, and is said to have quite unique properties. 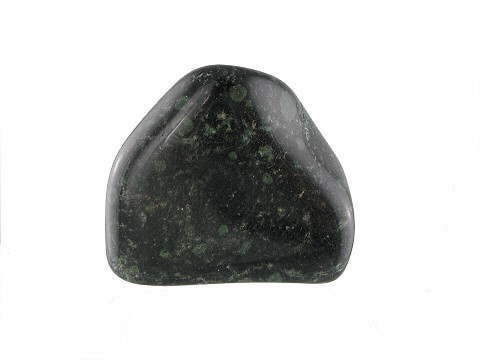 It is a newly discovered stone and we still have much to learn about its properties and use, but early work (meditations and channelling) has found it to be a stone of unity and oneness. It has a dark matrix (base) with beautiful deep green orbs or circles and polishes to a high shine, making it very smooth to the touch. The circles have been referred to as 'eyes' also suggesting a protective quality. A fascinating new find indeed.